There's just a handful of references to the larger DC Universe in the new Shazam! collection (collecting the Justice League back-up stories). This dearth of outside influence, plus the presence of writer Geoff Johns and especially artist Gary Frank, puts the reader heavily in mind of their recent Batman: Earth One collaboration. Shazam! could as easily be Shazam! : Earth One, and it succeeds as a new graphic-novel type introduction to the former Captain Marvel, of a kind we haven't seen since Jerry Ordway's seminal Power of Shazam graphic novel. Ordway's graphic novel and subsequent series (overdue for large-scale collection) made Captain Marvel modern for the time, while still hewing to the character's classic elements and tone. Shazam! nods to those elements, but the tone is modern now for the present day; Billy Batson has never been farther from his "gee whiz" elements. This may offend some, but Johns's Shazam nee Captain Marvel is far from unrecognizable. In all this is an auspicious new beginning for the classic character. Johns's opening salvo to the story is introducing a saccharin-sweet Billy Batson who's verily what some readers might have feared -- before revealing that this Billy is really a troublesome brat. It's a moment in the same vein as Johns's Earth One Batman falls off a roof -- Johns, effectively if heavy-handedly, declares this a new, different take on an old favorite. Billy and fellow foster child Freddy Freeman try to vandalize a bully's car; when Billy becomes Shazam, one of their primary goals is to go buy beer. Johns's success is in making Billy, finally, someone the reader can accept as a "regular" adventure story-type kid, rather than the wise-beyond-his-years radio personality of iterations past. Traditional Captain Marvel fans need not worry that Johns has leaned too dark here. The splash page of Billy and Freddie reveling in Billy's newfound power of flight perfectly reflects both the innocence and wish fulfillment aspects of the Captain Marvel legend. Neither does Johns shy away from the cornier elements of the mythos; by the end of the book, yes indeed, both Freddie and Mary (Marvel) get their powers, along with some new members of the Shazam family. Johns even works in "Tawky" Tawny (no Uncle Dudley yet, sorry). Billy's iconic red-and-yellow shirt is gone, but his jacket gives a nod to the striped elements. Johns is no stranger to Billy's adventures, having written him in JSA (JSA fans will join me in hoping to see this New 52 Shazam encounter the New 52 Justice League of America's Stargirl). Johns spent even more time writing about Billy's nemesis (and sometimes ally) Black Adam pre-Flashpoint, and so it's interesting to see how Johns conceives him here. Whereas Adam had been a member of Kahndaq's ruling circle before, he's now a slave granted the power of Shazam to take revenge on his oppressors. It would seem at one point that Black Adam is a young orphan just like Billy, but we understand later that Black Adam stole the power from his nephew before murdering him. As is the case with many of Johns's villains, Black Adam is not all bad, and this keeps too with Adam's JSA portrayal. Here, Adam works out of a misguided sense of justice, believing the slavery he once toiled under still exists. It's hard to see the "old" Black Adam in Johns's confused villain, but neither do I believe that Adam's death at the end of this story holds any permanence; I'm eager to see Johns continue to re-build Black Adam into the anti-hero we enjoyed for so many years. The book only struggles a bit, as many of the New 52 titles have, with trying at times to seem too modern. Billy's mention of his "podcast" trips off the tongue; Johns is no codger, but it's adult-speak, not teen-speak. An iPad factors heavily into the story, surprisingly, both because I wonder about trademark issues and also because most every other New 52 has used Oliver Queen's Q-pad as their iPad equivalent; again, in the way it both stands out and potentially dates the story later on, I'd as soon the Q-pad was the device. Elsewhere in the story, the iconic Seven Deadly Sins statues are now holograms; I tend to think that's a too-self-conscious update rather than a necessary one. Overall, however, I'd be thrilled to see Geoff Johns's much-discussed next DC series be a continuation of Shazam! -- with Gary Frank, too, or failing that, Cully Hamner might have an interesting take on the "Marvel orphans." That there are six "Shazams" now bothers me not at all, especially when there were at least that many before when you include Hoppy and so on; certainly no one could claim Johns's new Shazam! is more corny than what came before. Johns positions the new Shazam! somewhere between Goonies and Harry Potter, and it works quite well. Could Shazam! be the most successful New 52 relaunch so far? I read this as the back-up story in Justice League and liked it so much I'll probably be getting the hardcover so I can read it all in one go. For me, it read like Johns's pitch for a Shazam! 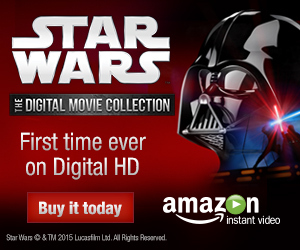 movie - one I'd definitely wait in line to see. Absolutely loved these back ups and for sure will be picking up the hardcover. I cannot wait for a regular Shazam series- something I never thought I'd say. By far the best thing to come out of the New 52. I'm glad this one got a good review, should my own blog take off successfully, I'm looking at getting this one soon. I've loved the idea of Shazam ever since I saw him take on Superman in the Justice League cartoon. This review confirms it- I'm putting this down as a planned buy. The book tries to hide where one chapter ends and another begins, but there are a couple of instances it doesn't work that well and the story flow is bumpy. But otherwise I really enjoyed this book. I always likes the idea behind Captain Marvel, but DC hasn't really made enough out of it in the last 15+ years. I can only remember a handfull of Marvel Family storylines that were good or memorable. So I was looking forward to this. 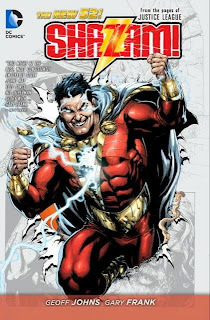 And though I still am kinda clingy regarding the old DCU, I still liked this version of Shazam a lot. The development Billy Batson takes from beginning to end is nicely done and the Art of Gary Frank is beyond reproach. I really liked Shazam! I liked the idee of the other kids also getting powers and the whole thing about the sins and black adam was enjoyable. I can´t wait for more. yes this was a great take on Shazam.